I’m going to make a general statement about compact cars. To me compact cars are like green vegetables. They have lots of benefits, but it doesn’t mean I have to like them. But, just like zucchini/broccoli/green beans, when they’re prepared right they can be enjoyed! And that’s where the 2017 Hyundai Elantra Eco comes into my story. When it arrived in my driveway, I was as excited about driving it… as eating a plate of broccoli. Blah. 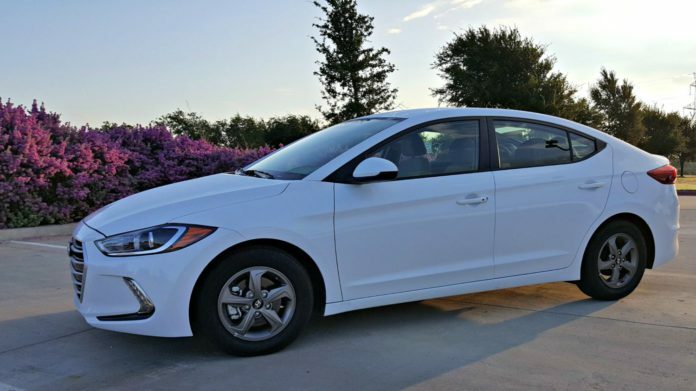 But then I took a bite…I mean drive, and it hit me, the Hyundai Elantra is not your average compact car. Roomier than I expected, packed with technology like Apple CarPlay and Android Auto, and with a price tag that’s palatable. 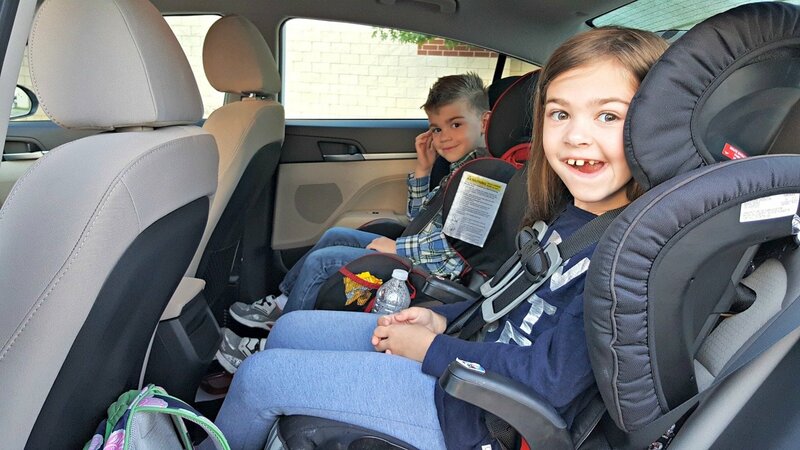 The kids had plenty of legroom in the back seat even in their bulky booster seats! Starting with the appearance, the 2017 Elantra is slightly longer and wider than the outgoing model. It has handsome contours, sleek but more conservative than aggressive. 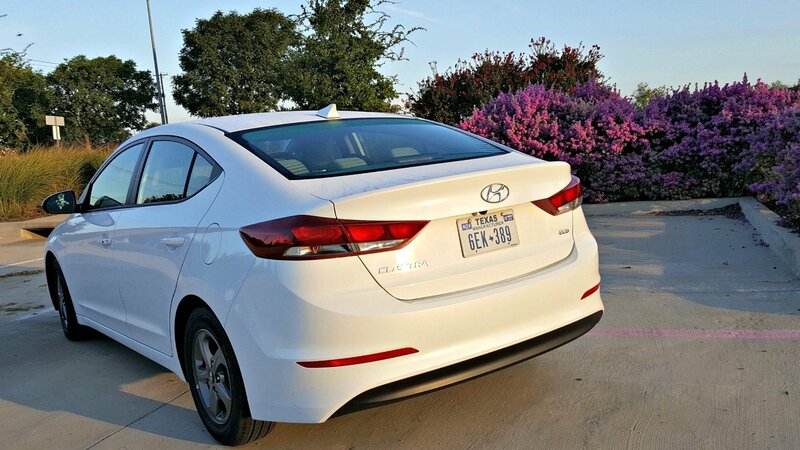 My son was impressed by the rear spoiler that’s built into the trunk lid, giving the Elantra a sportier appearance. We drove the Eco model with the exclusive all-new efficient 1.4-liter Kappa turbocharged GDI 4-cylinder engine which produces 128 horsepower at 5,500 rpm. Peppy, yes peppy. The turbocharged engine paired with a seven speed dual clutch transmission, offers plenty of power for the average driver. Of course the “eco” in the model should tell you its fuel efficient. 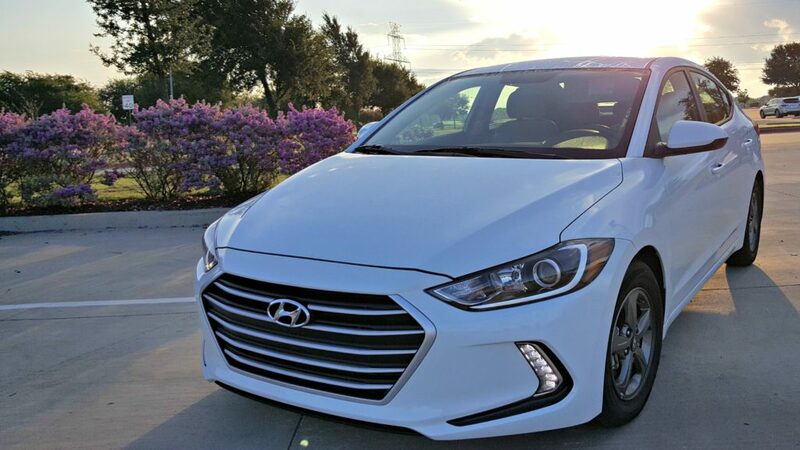 The 2017 Hyundai Elantra Eco posts impressive mpg numbers: 35 mpg combined, 32 city and 40 mpg highway. Ours showed an impressive 34 mpg at the end of our seven day test drive. Buyers considering a 2017 Hyundai Elantra have three trim choices: SE: Well-equipped model with popular options and technology; Eco: Fuel-efficient turbo model; Limited: Premium model with leather, advanced safety technology and features.